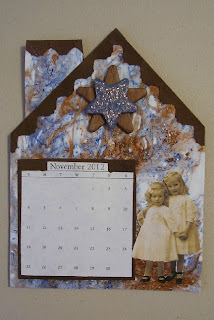 As you all know I was doing calendar pages along with Roni over at her blog Ink stains with Roni. I have completed all of them now and want to show you the rest of them. I enjoyed making this project, I learned some new things, made myself something for a change and got a much needed calendar. Although this one I won't be able to write notes on it for myself but I can enjoy it just the same. 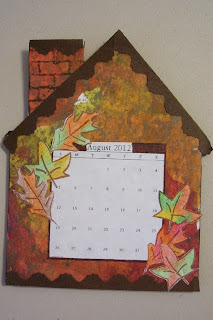 Although August isn't usually fall colours yet but being in Canada we actually see subtle changes coming in late July. So there you have it....I am really pleased for the most part. 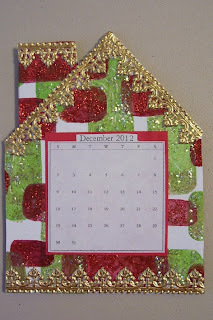 I have decided to start an Art technique Journal and put scraps of paper that have been clipped from each calendar page and write down the technique. That way when I want to do something again I have it handy. Another goal for this year. And....more stuff, are you bored yet??? Over at Helga's blog My Artistic Life, Helga gives a tutorial on how she painted a background which I applied to my little hearts. Here are a couple little Valentines to show you how I made mine. 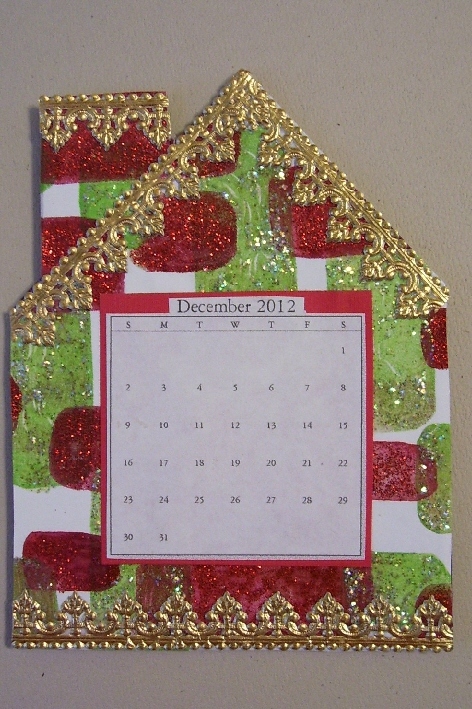 I used chip board off the back of a 12x12 paper pack. I cut out hearts, punched holes at the top, painted them using the following colours...Delta Apple Green to splatter, Americana Baby Pink, Americana Canyon Orange and Delta Cardinal. I pounced instead of brushed on my colours. 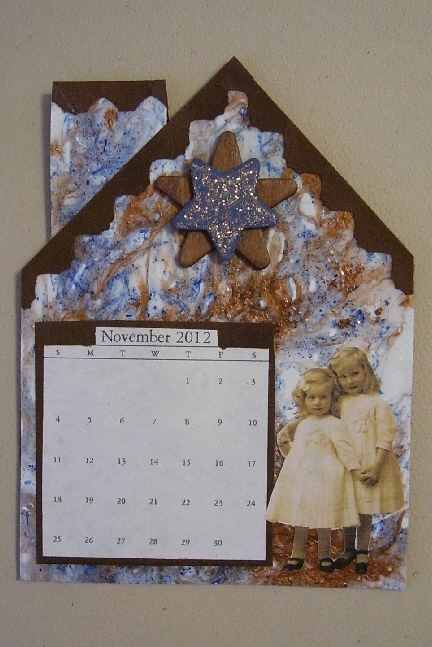 First I gave my chipboard hearts a coat of gesso. 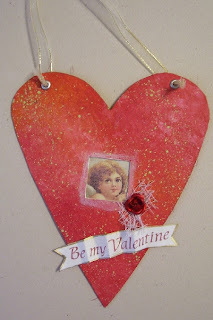 I punched an inchie punch out of scrap and used the window to draw it on the heart and cut it out before I painted, I Painted the heart back and front. Use heat gun to speed up drying. Then I print and cut images a bit larger to fit over the window on my heart. 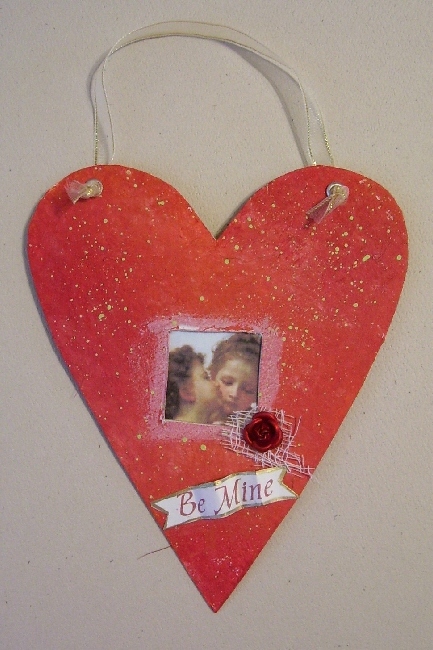 I then added grommets to my heart to put ribbon through. Covered the back of the heart with a smaller shaped heart from designer paper with pinking shears so I can add To and From. Aren't they the cutest? I am not usually into Valentines but for some reason this triggered it....thanks Helga for some inspiration. Click on the images to get a good close up of the colours, they blended so nicely with the pouncing I did. These are some bamboo tiles I got from a kit I ordered a while back from Artchix Studio. The kit contained a sheet of images, a few bamboo tiles. I won a challenge on Facebook back late summer so I finally ordered a few things and used my coupon. I am addicted to these suckers. I posted on FB I was looking for place mats and lo and behold my Mum found me some and I was able to locate some locally but I will wait till Mum's arrive before I set out for more. There are 130 in one place mat. They come in black, natural and a walnut colour. wooohooo, I love these. My dictionary pages are getting cut up as I am cutting words out of it and adding to some. I used ball chain to hang them and I experimented and coloured one ball chain with alcohol ink and I was amazed at how wonderful it turned out. 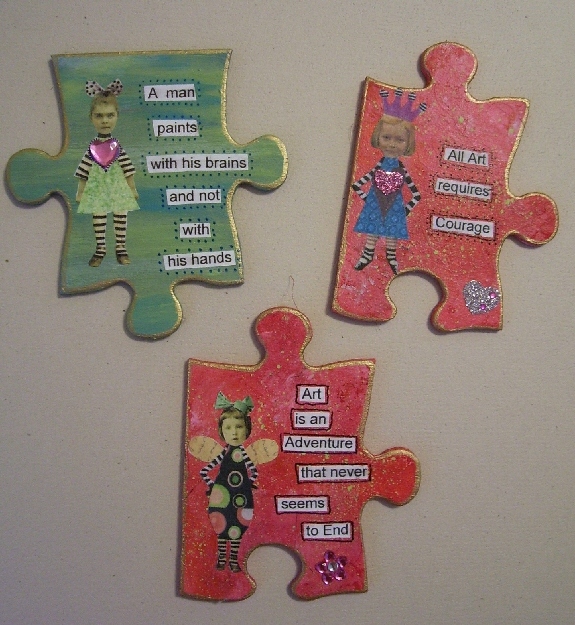 ﻿And last but not least some wooden puzzle piece magnets. I loved that heart colour I did a couple puzzle pieces. Added some images I had on the computer, found a few quotes online and added some either bling or Stickles for interest. Thank you for bearing with me during this long post. It is raining here when it should be snowing so we are on high flood alert in the basement. Til next time, stay crafty my friends. 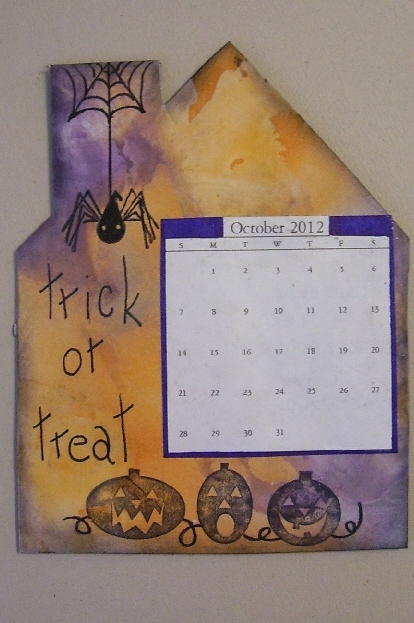 WOW- the calendar pages are simply amazing! 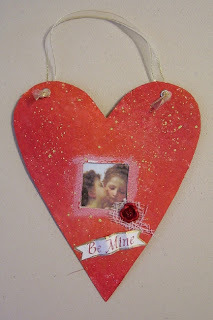 How fun is that cool Valentine and I love the tiles- I saw them a while back- yours are much more creative though- they would make a great Christmas Ornament- I love the dangle and the rolled paper at the top. WOW Les... You have been busy!!.. 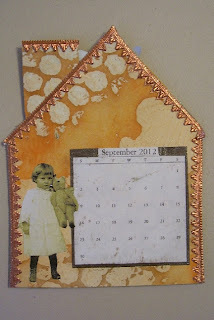 your calendar is so cool... loving all the different techniques and colours... Fabby hearts... Oh and I adore your gorgeous tile pendants and sweet little puzzle magnets...so cute!! ...and it's raining here in the UK too!! :( Not a glimpse of any snow yet? !..Hope you and your basement keep dry!! WOW, I love it all--and such fantastic designs, Les!!! Beautiful artwork on your page! I love the small puzzle´s! Oh my! You have been so busy! Love all these beautiful creations! 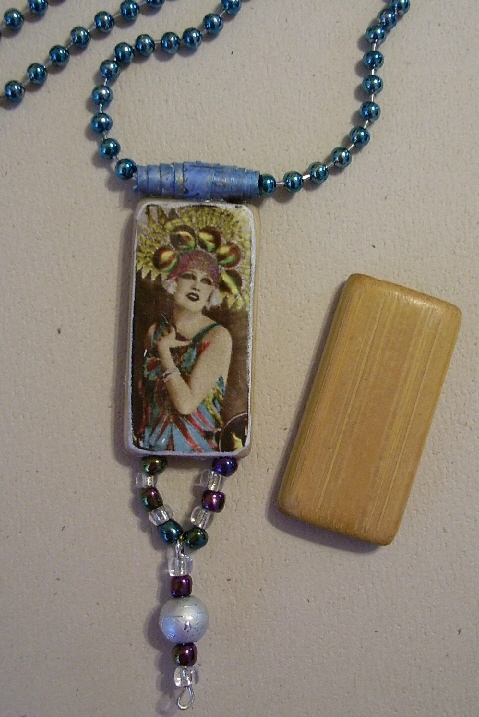 I just came from Sherry's and what a gorgeous matchbox to swap! Enjoy! love your darling puzzle pieces and bamboo tiles! So clever! Love the necklaces and jigsaw pieces. I found your blog via Jenny , spreading the bloggy love.